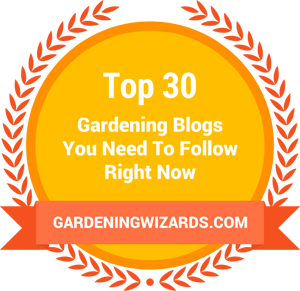 Since starting this blog in October, I’ve chatted with many fellow gardeners from all over the world. Most gardeners love plants and eventually have more than they need. Trading is a fun way to share your bounty and in return receive plants that you might never have tried. My latest trade arrived yesterday from a fellow garden blogger in the Midwest. Opening a box full of plants is like Christmas morning: You kind of know what you’ll get, but there’s still an element of mystery and surprise. After removing everything from the box, I was still in suspense since the plants were so well packaged. Four baggies of seeds of different vines, none of which I’ve ever tried before. It’ll be fun figuring out where to plant these. Four 4” containers of cactus seedlings, started from a package of mixed cactus seeds. The varieties include “Saguaro, Hedgehog, Fishhook Barrel, Dollar Prickly Pear, Desert Prickly Pear, Christmas Cholla, Cane Cholla, Santa Rita Prickly Pear, Cardon,” none of which are hardy where my trade partner lives. I’d never seen cactus seedlings before and was very excited to lift off the cotton that protected them during shipping. The seedlings are only a couple of months old and will need TLC for quite some time. I will keep them away from the hot sun and mist them every few days. Next were two perennials. The first is northern sea oats (Chasmanthium latifolium). We have two of them already, but my friend had plenty of seedlings to share so I gladly took another one. This grass is grown primarily for its flat flower heads that dry to a beautiful bronze color and are particularly ornamental in the winter when there is little else of interest. Chasmanthium latifolium can become invasive if allowed to reseed freely, but so far I’ve noticed little of that in our garden. The next perennial is anise hyssop (Agastache foeniculum), which is cultivated both as an herb and as an ornamental. We already have a variety of agastaches in the planting strip outside our front yard fence, but this is the first time I’ve ever tried this particular species. Click here to see a photo of its flowers. The last plant in the box is what I’m most excited about: It’s a rhizome section of a stunning running bamboo called Phyllostachys aureosulcata 'Spectabilis.' It’s a vigorous no-fuss bamboo with beautiful culm coloration. It is also one of the most cold hardy bamboos, although that’s not really an issue in our climate. I plan on keeping it in a pot until it gets too large, then it will go my in-laws who have enough acreage to let it run. Here are the potted bamboo, Northern sea oats, and anise hyssop—ready to take their place in our garden. I’m gonna get you, sucker!